It’s time to bring out the big guns for your New Year’s party. And by big guns, I mean big on flavor, big on appeal and big on festive cheer. 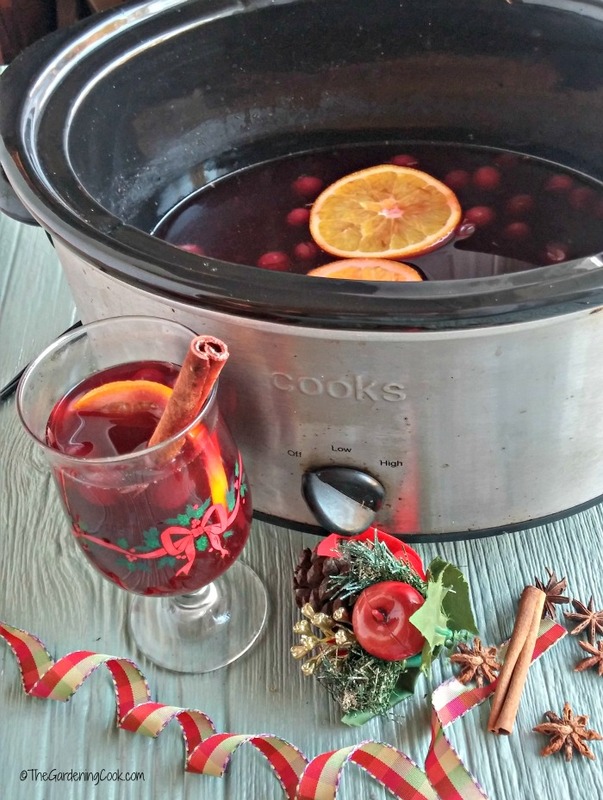 This recipe for slow cooker spiced wine with oranges and cranberries is the perfect way to ring in the New Year at our house and is a great addition to my collection of party time crock pot recipes. 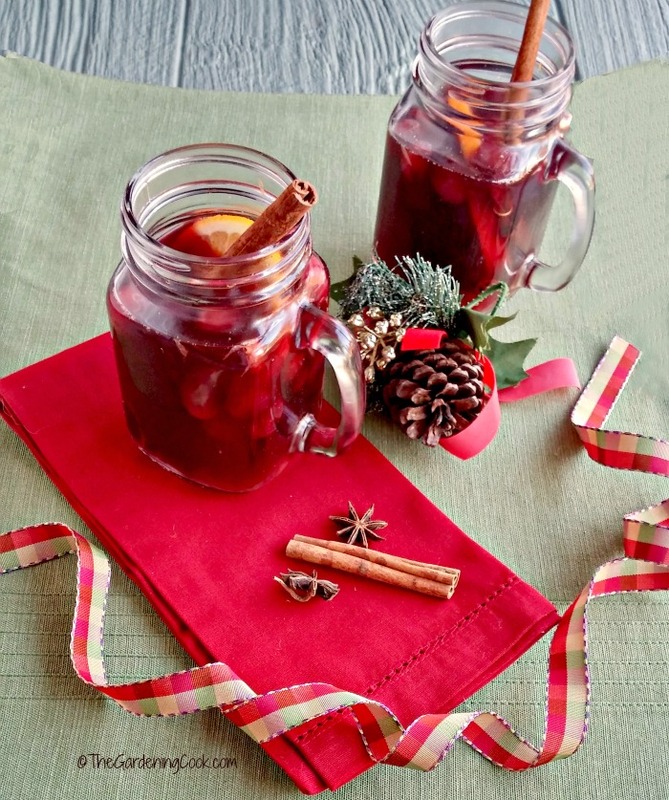 Treat your New Year’s guests to this slow cooker spiced wine recipe for some celebratory cheer! My daughter visits for the holidays each year, and one of our favorite things to do is have movie nights and share our favorite wine and cocktail recipes. 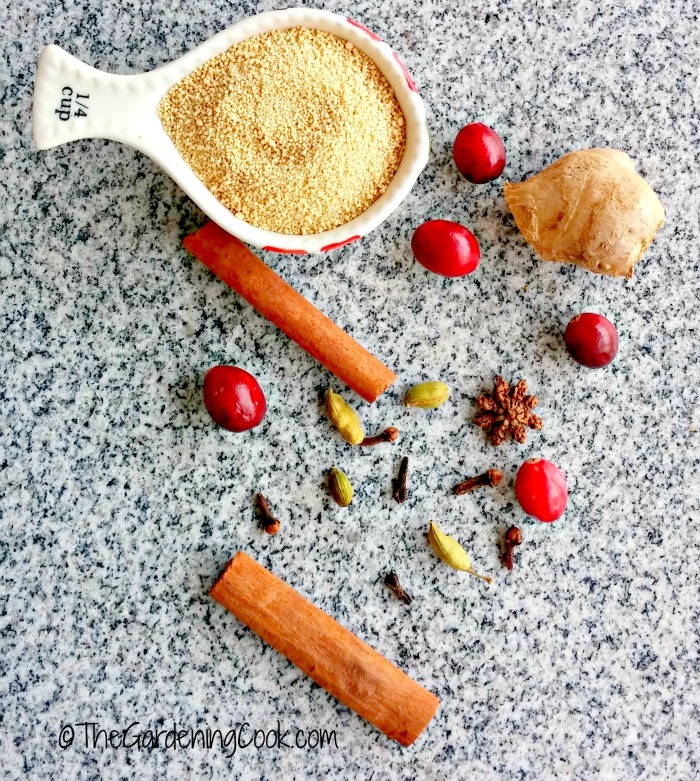 I thought it would be fun to spice things up a bit this year with Tate + Lyle® Honey Granules in a slow cooker version. Just look at all these goodies that will go into the recipe. Dontcha just love a slow cooker during the holidays? Everything goes in, the house smells wonderful while it cooks and you can tend to other pressing things, knowing that the end result will be BRILLIANT!! So gather up those ingredients. With all this great stuff that will go into my crock pot, how can it not be good? Instead of using honey, which is sticky and kind of messy, I am using Tate+Lyle® Honey Granules. 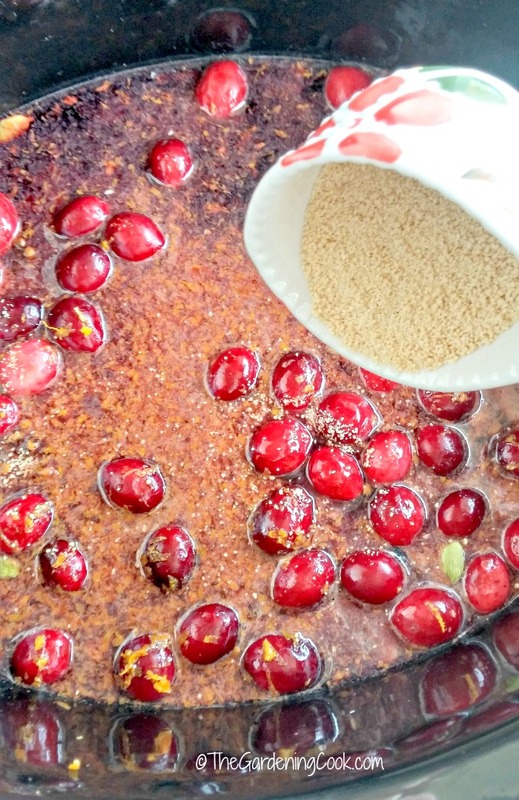 I used these Honey Granules to make my glazed apple cake earlier this year and it was a huge hit! Tate+Lyle® Honey Granules are a free-flowing blend of pure cane sugar and honey. They are deliciously sweet and a neater way to add honey flavor to all your holiday recipes. One thing I LOVE about this recipe is that there is no need for an expensive bottle of wine. The spices and honey granules are what make the taste so great, so go ahead and NOT splurge on the wine or cider. And the recipe only needs 1/4 cup of brandy, so it is very inexpensive to make overall! Some of the key players in this recipe are a wonderful blend of not often used spices. For this recipe, it was fresh ginger, whole cloves, whole star anise and cardamom pods. These spices combine with the wine, honey granules and fresh fruit and cranberries to give you a drink that is TO-DIE-FOR!! (in a good way….) And I am in ‘luv with the way the honey granules avoid a sticky mess for me! Everything goes into the crock pot for a few hours and then it gets a good stir. I ask you…What could be easier? The perfect recipe for those busy December days leading up to New Year’s Eve. The spiced wine cooks on low for a few hours and it makes the house smell amazing. You will know it is done when the cranberries start to become tender. What a perfect recipe to make before your holiday party. The guests will be blown away when they enter the house! Not having a party? Just take the whole crock pot out to a gathering that one of your friends is having and share it with their holiday guests. What a fun housewarming present it would make! 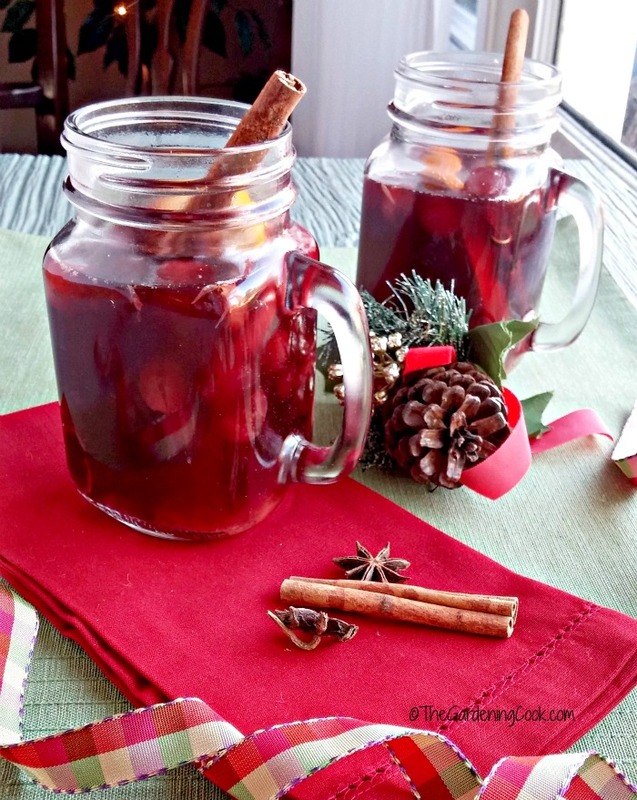 Serve the slow cooker spiced wine in decorative holiday glasses, mugs or even Mason jar cups like these. They set the mood for the party in a big way. And don’t forget to garnish the individual servings with whole star anise, sliced oranges and some cinnamon sticks. Nothing quite says Christmas like the look of whole cinnamon sticks in my book. This is the first year that I have made slow cooker spiced wine and after the reception that it got, I just know that it will become my favorite drink to serve at all the holiday parties to come. The Tate+Lyle® Honey Granules that I used in this recipe can be used in so many holiday recipes. They can be a substitute for granulated sugar in any recipe and it adds a touch of exquisite honey flavor. The conversion ratio is 1 cup of Tate+Lyle® Honey Granules + ¼ cup additional liquid to recipe. To avoid the sticky mess, but still taste the delicious flavor of honey, you can find Tate+Lyle® Honey Granules at a Walmart store near you. Steamy hot spiced wine has been warming cold hands and hearts and celebrating the holiday spirit for centuries. Isn’t it time that some this scrumptious party drink makes it way into your home? 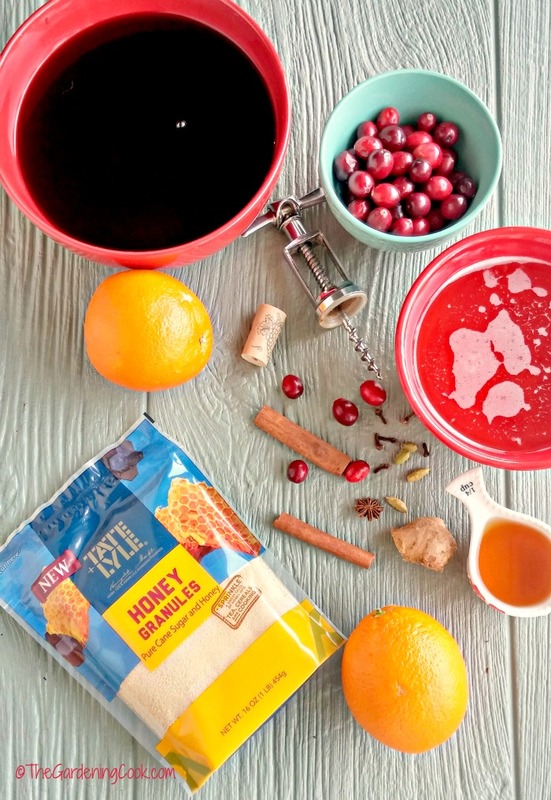 This recipe for slow cooker spiced wine with oranges and cranberries is the perfect way to ring in the New Year at our house and is a great addition to my collection of party time crock pot recipes. Add the red wine, cider, honey granules, orange zest, cranberries and orange juice to a large slow cooker. Stir to combine well. Mix in the cloves, cardamom, cinnamon, ginger and star anise. Cook on low until warm, about 2 hours, until the cranberries are getting tender. Time will depend on your slow cooker. 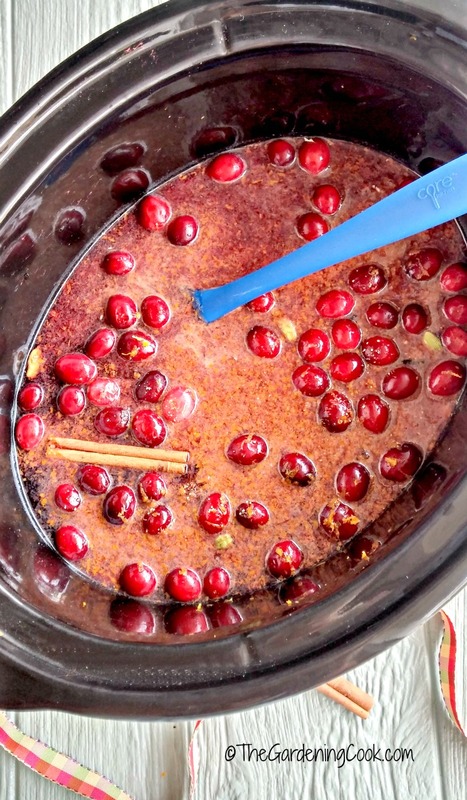 Once the cranberries are soft, stir in the brandy and cover while you continue heating on low. 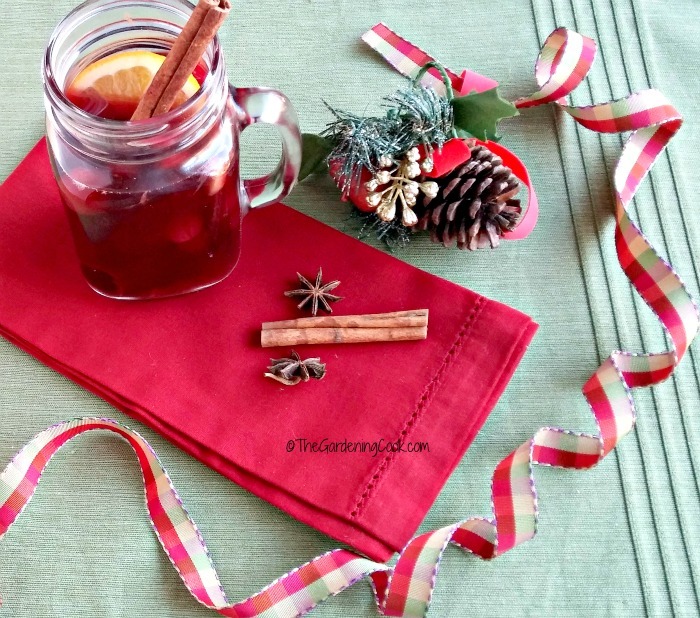 Spoon the spiced wine into mason jar mugs or festive glasses, and serve with a star anise, an orange slice and cinnamon sticks. Be sure to add the soft cranberries in each glass. To keep the spiced wine warm during your holiday gathering, either leave the slow cooker on the "keep warm" setting or alternate between the "low" and off setting during your party. That sounds wonderful. I host Christmas dinner every year and I think I am going to try this. I am sure it will be a huge hit. I have made it twice this year and plan to do it again this week. My daughter loves it! 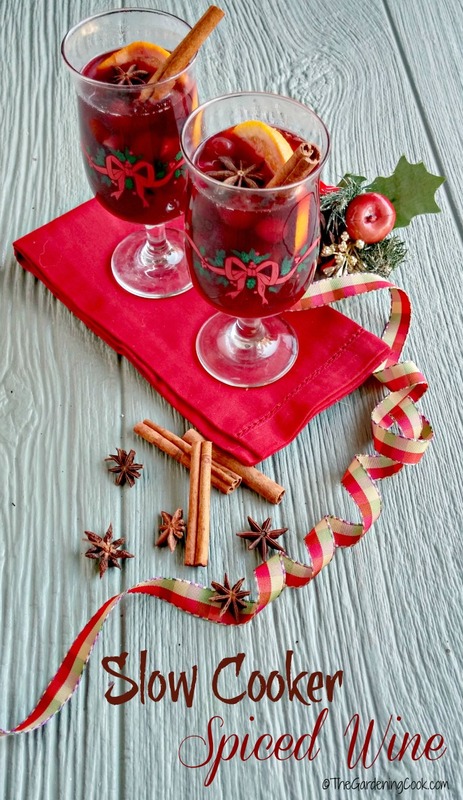 I’m not really one for spiced Wine, although it does look very festive my mum would love it. My husband had the same comment but he loved this one. Normally spiced wine is sweet but the cranberries made it quite tart. We all loved it. We always go to the Christkindle Market in Chicago for their red wine glug–but this recipe looks even better! And it would let me stay in my warm jammies and out of the cold! Sounds just like what we did! This sounds like such a fun, delicious drink that’s perfect for holiday parties. I love that it’s made in the slow cooker. I use the slow cooker all the time during this time of year. My husband smelled it the minute he walked in the door. Love my slow cooker! One of our friends made apple cider this way in a crockpot and it was good, but this looks like it tastes way better! Yum! This could turn into a lovely annual tradition. It’s so festive, pretty and bound to be delicious! I want to make some this week. It comes together in a flash. Super easy recipe. 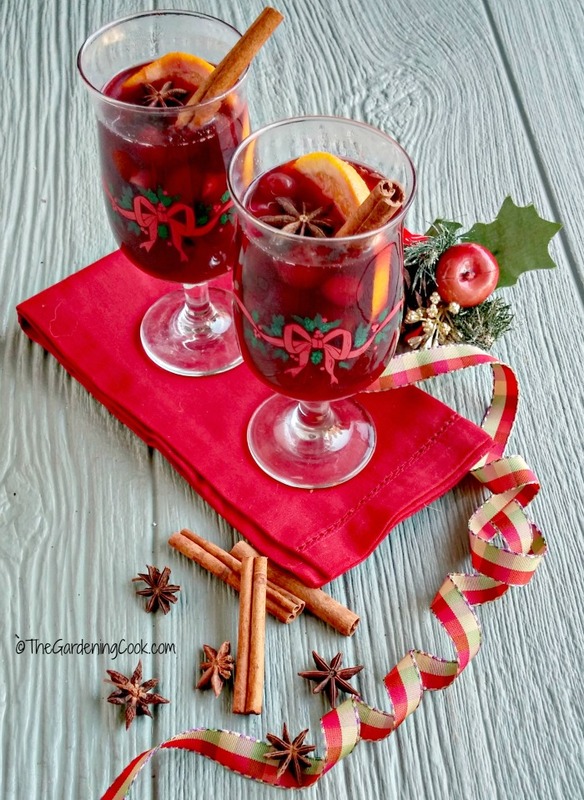 I love the idea of making spiced wine in the crock pot like this!! I have never seen the honey granules before, my wife would love them for her smoothies! I use them all the time in place of honey. Cuts out the sticky mess and they keep well. This looks so good! I’ve never made spiced wine before, but I do something very similar in the slow cooker with apple cider. Darn, I just hosted my annual christmas party. This would have perfect. I love the slow cooker idea of it as well. On less thing to worry about. Definitely bookmarking this for next year. After tasting it, I think I’ll make it right through the winter. Not just a holiday drink! Yummy! This looks like it would be delicious to drink. Do you have a substitution for the red wine? My father in law gets wicked migraines if he drinks red wine but I know he would love to have a glass of this. Hi Heather. I’ve only made it with red wine. One thing I did notice though is that I drank quite a bit of it and did not get a buzz like I normally do with red wine. A lot of the alcohol volume cooks out. Perhaps it might not give him a headache. I think you could make it with white wine too, or even cranberry juice. Wow, I didn’t know you can create your own wine. This sounds delicious and easy to prepare. We really loved it at our house. Mmmm, this sounds and looks incredible. I can’t wait to try this. Thank you for sharing. I love having a pot of mulled, spiced wine on the stove! So warm and delicious! I usually use orange and clove! I do normally. This is the first time I added the cranberries and love the way it turned out. This looks perfect for this festive season! I’m going to gather the ingredients, I can’t wait to try this. We loved it and I’ve made it twice so far! I love that this uses honey instead of sugar! I will definitely try out this recipe! I’m trying to keep my sugar intake down. I love using honey granules instead of normal sugar.